An ideal way to congratulate the new parents on the arrival of their new baby boy. A perfect choice to celebrate the latest little man in their life. 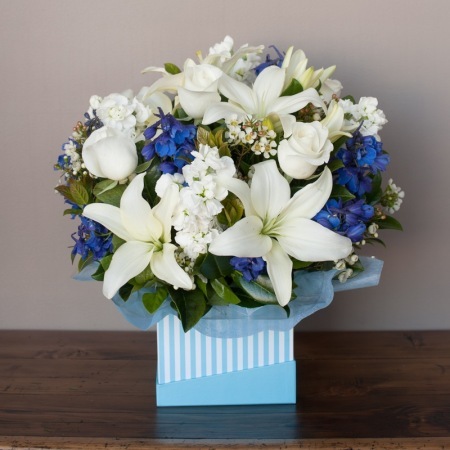 This box arrangement of choice seasonal flowers including beautifully scented lilies and roses will make the appropriate baby boy gift. We have a large selection of gifts to go with this delightful box arrangement chocolates, soft toys, candles and champagne.